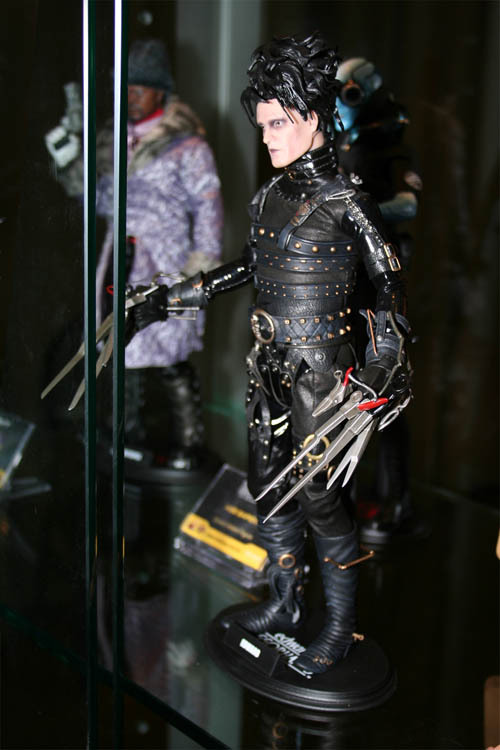 Twisted Plastic - Events Gallery - A Weekend of Heroes 2009 - Hot Toys Edward Scissorhands - The years spent in isolation have not equipped him with the tools necessary to judge right from wrong. He'ss had no context. He'ss been completely without guidance. Furthermore, his work - the garden sculptures, hairstyles and so forth - indicate that hes a highly imaginative... uh... character. It seems clear that his awareness of what we call reality is radically underdeveloped. The years spent in isolation have not equipped him with the tools necessary to judge right from wrong. He'ss had no context. He'ss been completely without guidance. Furthermore, his work - the garden sculptures, hairstyles and so forth - indicate that hes a highly imaginative... uh... character. It seems clear that his awareness of what we call reality is radically underdeveloped.